Well, it's been three months, but I finally have an update for y'all. This one is mainly an internal update, with a bunch of code changes. All chunkloading, death prevention is now done internally and automatically. This means that you don't have to keep a loaded bogie block handy, so the bogie block has been dummied out. Also, riders will turn with trains now no matter where they are, making for much more realistic travel. Finally, I've put in a crossing block, to hold you guys over until ROW updates. Updated link is in the OP. As to my next step? Not sure. I hesitate to make ROW too automated, as I don't like the 'magicalness' of Railcraft. Suggestions are always welcome though. Thank you Don_bruce for your work with this. I really like this mod together with ROW. I'm working on some Swedish diesel enginees to add in my layout. I'm wondering if it's possible to make a signal that shows green/red or an old semaphore to this mod? I've actually been wanting to change the signal block into a semaphore for some time now. That way the settings could be represented by the two semaphores. Problem is I'm horrid with blender/ java-code modeling, so either someone will have to contribute a model, or you'll have to wait until I can get something presentable completed. How exactly would you be wanting that to work? As it stands, there's nothing to keep players from entering a locomotive at a station, releasing the brakes, and driving away. I could tweak the station block to lock down the locomotive when stopped, so it'll only move if released by the station block, but then there's nothing stopping players from kicking one another out of the carriages. The best I could do is assign a destination to the locomotive, and have it continue on the line until it hits that station. Perhaps a special commercial variant of carts? only can ride through the modblocks. removing the rightclick functionality, but still mounatble by mods in the station, and players with a ticket booth. That would work....if I had access to the ROW code. My mod interfaces with ROW through some creative NBT editing, and nothing more. This means that changing the behavior of carts to prohibit regular mounting is all but impossible. You'd have to ask Naiten about that, but given that he's busy doing a re-write I'd advise against making feature requests for the moment. When Naiten finishes the code rewrite will you have to rewrite your code? I'll most likely have to. My mod gains access to ROW NBT data through some convoluted reflection steps which are almost guaranteed to be outmoded after the re-write. ROWAM is also quite inefficient, since each block checks the entire loaded entity list for entities with 'row' in their name close to the block. I've been putting fixing that off, partially because ROW's inefficiencies cause more lag than ROWAM's, and because I hope someday that Naiten will give me access to the source code so I can integrate ROWAM. I'm not too good at all the vectoring he makes the trains do, but I have done some modding with multi-part entities. Given the time, I'm positive I could implement multi-passenger carriages, as well as non-instant breaking. Yeah, but a couple of mods have wooden airplanes, is it Flans? No those textures aren't from Flans. Maybe he made it? Hey don, What was that wooden airplane? 5 replies in 1 day? That's a new record! For the past 2 months I've been working on making a realistic airplane mod. Not realistic in looks, mcheli has that covered, but realistic in terms of flight. All the airplane mods I've tried treat airplanes as entities, adding a constant velocity to the direction they're pointed in. This makes maneuvers like circling while banking impossible, and maneuvers like VTO all too possible. 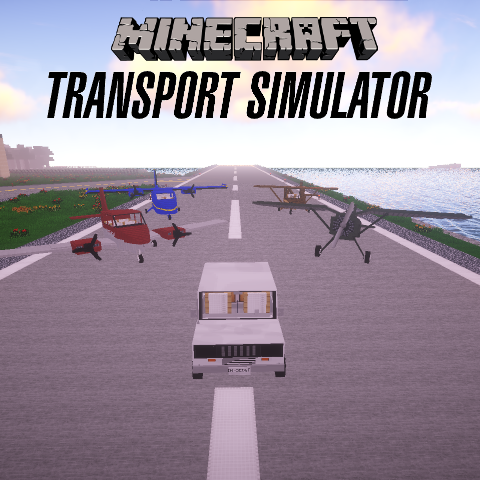 I'm pretty good at physics, so I decided to put that to use modeling airplanes in Minecraft. The picture is of the cockpit view of my current airplane, with the airspeed indicator, heading indicator, altimeter, and tachometer. All the gauges work, and if you switch outside that view they disappear. I also made it so you can lock your camera as you turn, zoom in and out, and have multiple passengers per plane. Right now I'm a bit bogged down dealing with gravity, but I thought I'd show off a bit to see if there's a market for such a mod. Also, here's a couple of pics of the unfinished aircraft. It might be worthwhile to take a look at the Elytra in the newest vanilla snapshots. The physics are remarkably well detailed (for Mojang at least), and you might be able to get some inspiration for a few flight characteristics from that. In addition, both Selulance and Sancarn put out Youtube videos about a powered version of the Elytra with command blocks. It's the closest thing I can think of to realistic flight in vanilla at the moment, although it's TWR feels like a fighter jet. Regardless, fun to play with and could be useful to you. Thanks for the work with ROWAM, it's a big addition to ROW for me and I can't play without it. Would this be a crash because of your mod ? Private Elivion Server running on Thermos 1.7.10-1614.58 with 182 mods. Always running the latest mods updates. would it be possible to simulate technical failures, and when will this mod be available for the first beta release, if not a full version? That's due to my mod, but it shouldn't be crashing there. I released an update over on Curse, let me know if it works. Engine wear is already planned, so it shouldn't be that hard to add in things like a fouled spark plug or broken fuel pump. All of these things are relatively late in the development cycle, though, as I want to get things like banking and drag done first. As to a release date, I can't say. Once I get the basic physics worked out I'll put up an Alpha release, but true airplane physics is complicated and full of little details that will gladly crash Minecraft if left unchecked. 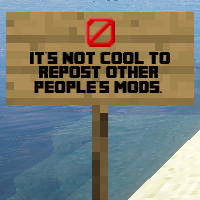 There's a reason why other mods use a simplified version. And I have a question. MY station block doe snot seem to emit redstone. I have it set on restore but nothing comes out. I have a comparator on it.